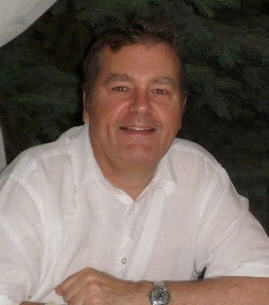 Steve Bentley is the Founder and Managing Director of Sofema Aviation Services. Steve started his aviation career in the early 1970’s and has spent the entire period in commercial aviation. Becoming in 1976 the youngest licensed aircraft engineer in the country when he obtained his Aircraft Maintenance Engineers License at the age of 21. His specialty is Avionics and he has a CAT B2 qualification on many aircraft including B737, B747-400 Airbus A320, A340-600 and Group cover for Light Aircraft. In addition he holds a CAT “A” license and multiple CAT “C” license coverage. Moving to Gatwick Airport at the end of the 1970′s Steve was working for Britannia on B737-200 aircraft as a Line Maintenance Engineer. He spent the majority of the 1980’s working in base maintenance for British Caledonian Airways primarily focused on the Douglas DC10 Fleet and the BAC 1-11 Fleet, during this period third part maintenance was also performed on a number of aircraft including B757 and Airbus A300- B4. Steve accepted a 3 year contract with Royal Brunei Airlines in Bandar Seri Begawan, Brunei where he worked in the Quality Assurance Department focused on B737 and B757 aircraft. During this period audits were performed throughout the Asian region in support of the oversight of the maintenance standard. Returning to the UK in 1991 Steve joined Virgin Atlantic Airways initially on the line at Heathrow airport moving to Quality Assurance and later Airworthiness in 1993, where he remained until 2006. This was a major period of change in the regulatory oversight environment initially with the introduction of JAR 145 and later JAR OPS 1 and the takeover of the regulatory obligation by EASA in 2003. The period saw the introduction of the requirement for Operations Auditing (OPS 1.035) and Steve become an OPS auditor with Dangerous Goods (DG) and Cabin Crew Safety Equipment Procedures (SEP) training. In 2008 Steve founded Sofema Aviation Services (SAS) with the intention of delivering EASA Compliant regulatory training across both the Operations and Maintenance business areas. SAS delivers training in many regions including East & West Europe, Middle East, Far East and Africa courses are delivered both as in company and open training, with the maximum amount of flexibility courses can be tailored to the specific needs of the client. Today SAS has 10 regular instructors and offers more than 350 courses for details of SAS courses please see www.sassofia.com or email office@sassofia.com.